What Would Be Lost. What We Could Gain. 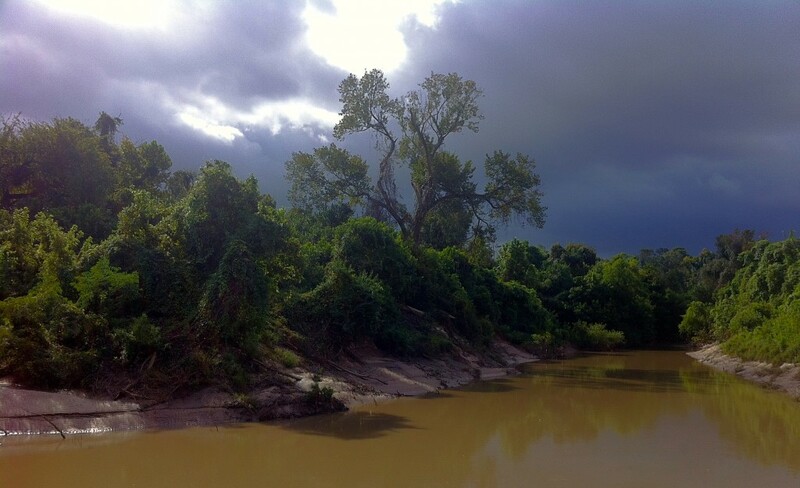 See this beautiful stretch of Buffalo Bayou? They were going to raze it and fill it in. They still might. And dredge and reroute the bayou, tearing down the trees. For no good reason. We are saving it. Against great odds. But we urgently need your help. 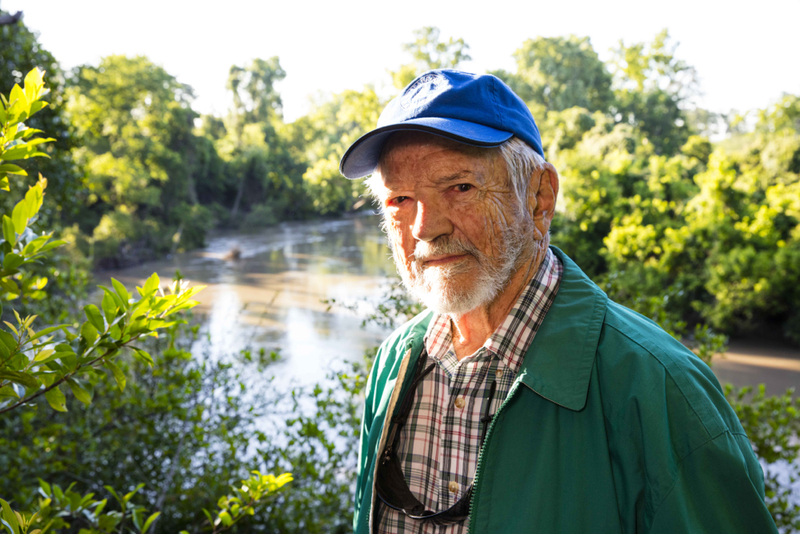 Please donate now to Save Buffalo Bayou. It’s tax-deductible. See this lovely sandy meander? They want to cut down the trees, bring in heavy equipment, level it and fill it all in. That’s our public Memorial Park. It’s a historic nature area. Note the high Pleistocene (very old) cliffs on the far right. They would be leveled too. Checks can be made out to Save Buffalo Bayou and sent to 4121 Mandell # 3, Houston 77006. Or just click on our easy-peasy Donate button. Note that PayPal deducts 2.9 percent for donations. 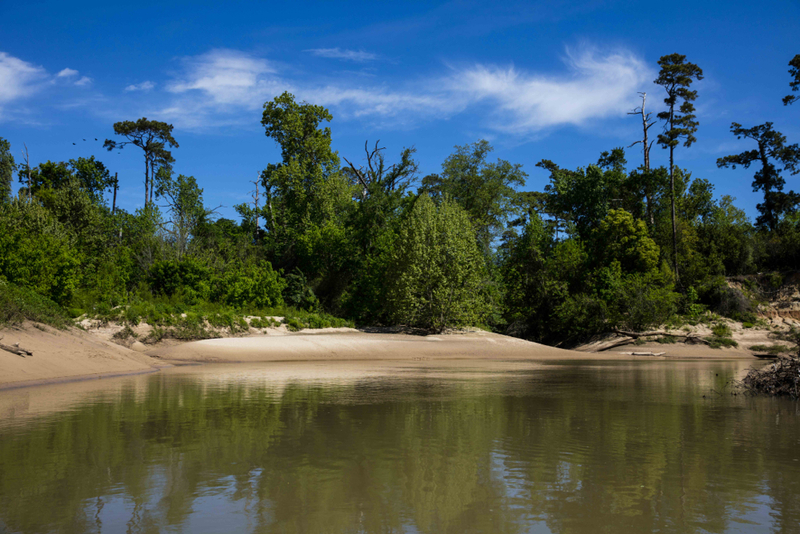 Look at this amazing stretch of our 18,000-year-old Buffalo Bayou flowing through the middle of Houston, past ancient high cliffs and sandstone formations, home to beaver and otters and more. City and county officials want to spend millions in taxpayer money to rip out the trees and vegetation and destroy the ecosystem. And not just on Buffalo Bayou. They do that and will continue to do that on all our streams. We think there’s a smarter, cheaper way. Did you know that the trees and vegetation on the banks clean the water better than sewage treatment plants? Everything they are doing violates best management practices. 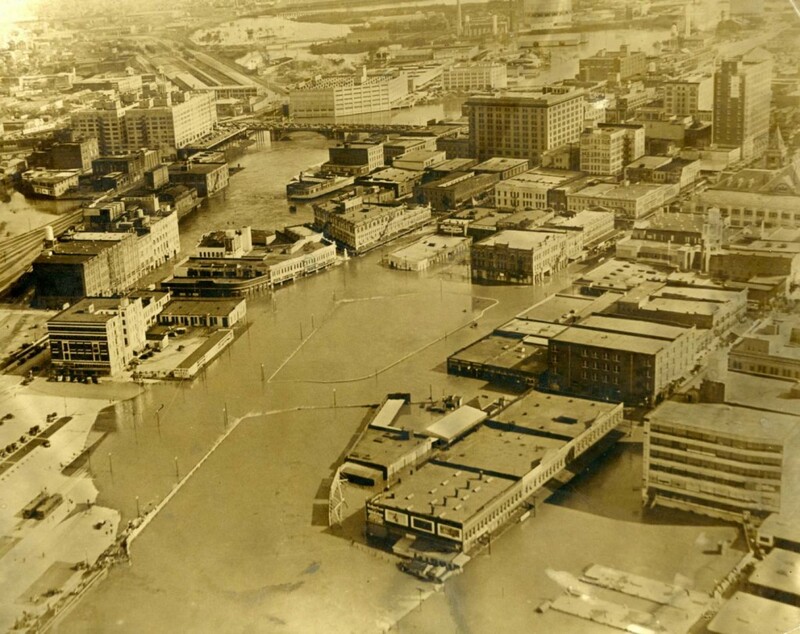 Floodplain management around the world has moved on. Let’s move with it. 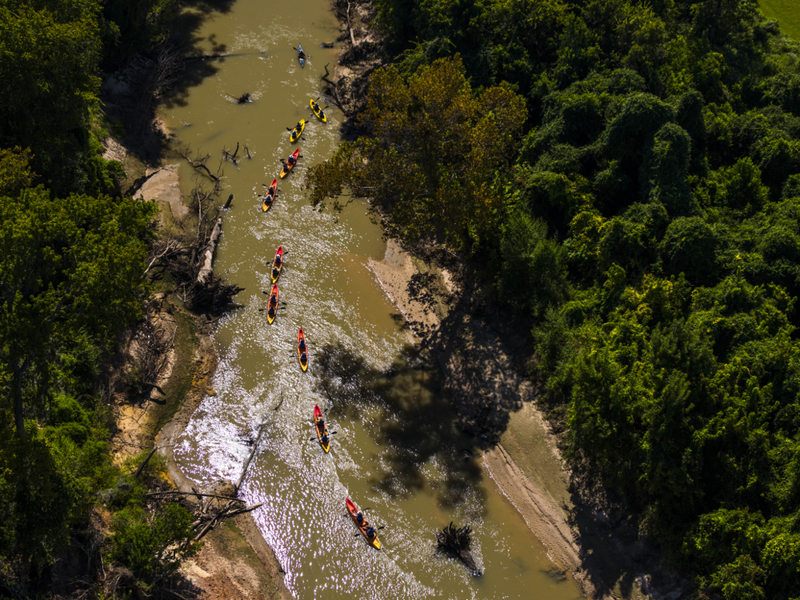 Please support Save Buffalo Bayou with a tax-deductible gift now. We stand for the environment and the intelligent use of public funds. Stand with us. We’re for sensible, green flood control measures that work and last. Let’s stop with the costly, destructive, outdated engineering projects that need constant repair. Donate now. We’ll send you a colorful Save Buffalo Bayou bumper sticker. 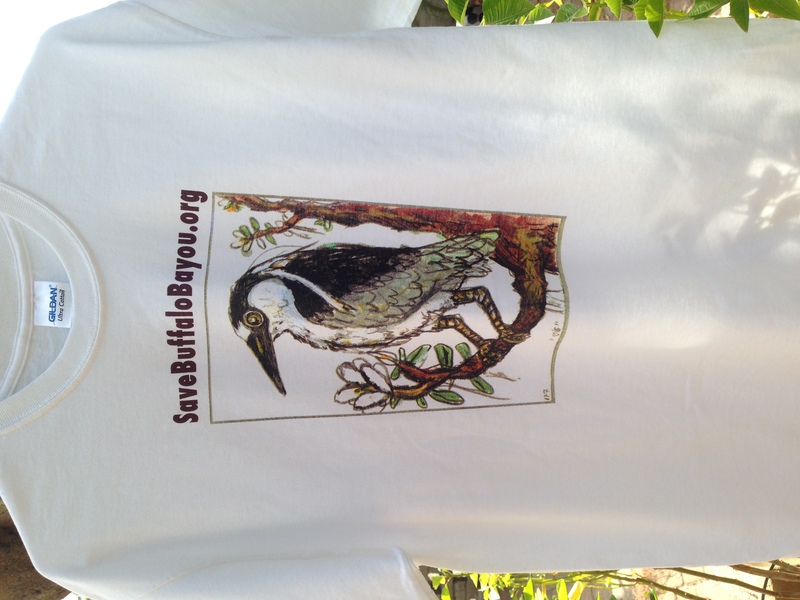 Donate more than $150, and we’ll send you a handsome cotton t-shirt with our yellow-crowned night heron logo designed by Frank X. Tolbert 2. 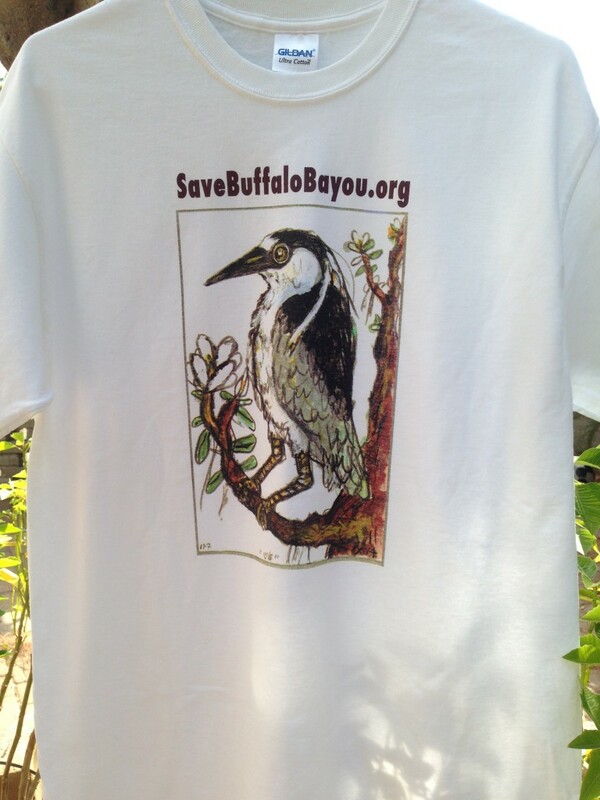 Save Buffalo Bayou t-shirt with yellow-crowned night heron by Frank X. Tolbert 2.